Installing screen doors in your home has so many benefits that doing so is usually a no-brainer. After all, using a screen door as your first line of home defense helps save the environment, helps save you money, and helps keep you and your family safe from bugs and the deadly diseases they carry. So it’s no surprise that screen doors are so common in residential properties. 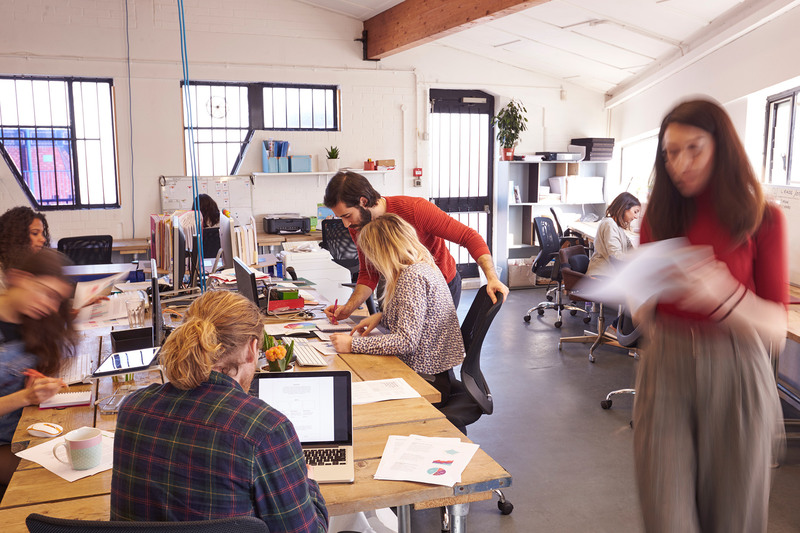 But, though they’re less common in commercial ones, it turns out that they can be even more beneficial for your business than they are for your home. If you’re wondering, “Will installing screen doors for my business save my business money?” the answer is most likely yes. Utility costs are, of course, a huge expense in running almost any kind of business. Installing commercial aluminum screen doors give you the ability to cut back on air conditioner use, a great way to cut business costs. Just like in your home, screen doors can provide tremendous energy savings for commercial buildings. Moreover, if your business is a restaurant, installing a screen door might actually be necessary to make sure you’re in compliance with health codes. When the weather is nice, there’s nothing like leaving the doors wide open to let the fresh air in so that dining inside can be a little like dining al fresco. But FDA code requires that any openings “shall be protected against the entry of insects and rodents by 16 mesh to 25.4 mm screen.” Restaurant screen doors enable you to bring the nice weather in to your guests while staying in compliance with health codes. 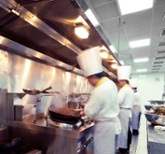 But health codes don’t just require that bugs and mice stay out of your restaurant. They also require that patrons don’t wander into your kitchen. So, installing a screen door between the kitchen and dining area is a great way to open your kitchen up while still maintaining a barrier to keep non-employees out. ave the door open for a few minutes when the weather gets nice. Besides energy savings for commercial buildings letting the sun and fresh air in on a nice day is great for employee morale, which, of course, means it’s also great for your business. However, a few minutes can quickly turn into a few hours if no one’s watching the door. And even a few minutes is enough for every insect, bird, rodent and passing stranger to wander in. So, if protecting your employees as well as your valuable inventory is a concern, durable screen doors may be just what you’re looking for. Now, a screen door in a commercial establishment will, of course, take a lot of wear and tear. 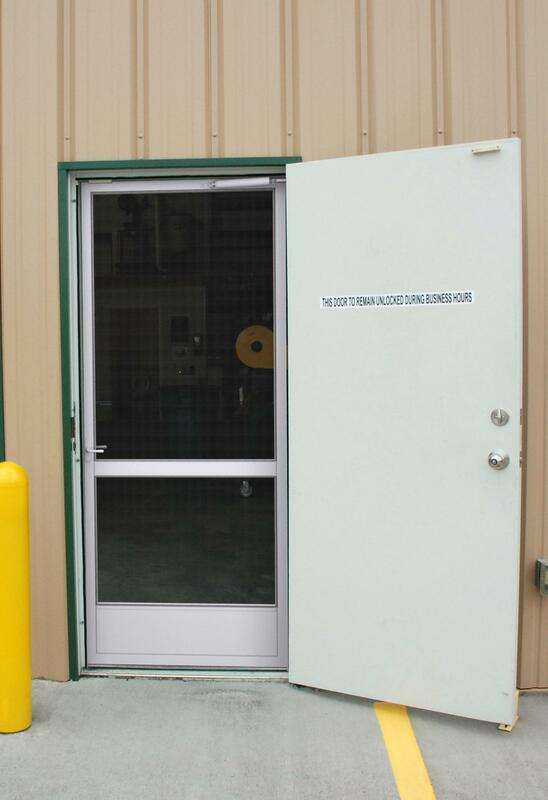 So, it’s even more important for a commercial screen door to be both effective and durable and, thus, you’ll want to make sure that your door has the top 4 features important for a commercial screen door. Whether you want to create a more pleasant environment for employees and guests or simply want more energy savings for your business, installing a high quality PCA screen door might be exactly what you need.